U.S. 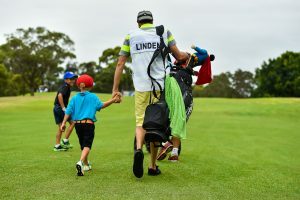 Kids Golf Local Tours are created to provide boys and girls, ages 5 to 14, the opportunity to advance their skills in the game in age-appropriate competition. The emphasis of these tournaments is on fun and enjoyment. A Local Tour consists of six to eight one-day tournaments, including a season-ending Local Tour Championship which are played on Sundays at various high quality courses across each State . Medals are awarded at the completion of each tournament to the first 5 place getters and players earn awards and points for each tournament. These points can allow them to qualify for various national and International Tournaments through playing in their Local Tour. The pinnacle of these is the U.S Kids Golf World Championships which are held in Pinehurst U.S.A every August. 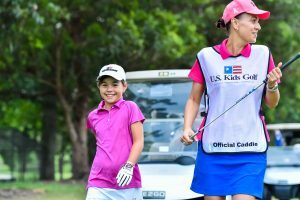 U.S Kids Golf is based on the format of reduced yardage to make playing the game achievable competitive and rewarding for all age groups. All tournaments will be held based on the yardages represented under Age Groups & Yardages. Before being able to register for individual tournaments players are required to create a U.S Kids Golf Club Account. You can do this by clicking HERE. Once you have successfully created your Club Account you can then register for your Local Tour Events. You may enter as many events as you choose within that Local Tour. You may also register for more than one Local Tour. In Australia we are currently running Local Tours in the following cities, click to view Tour Schedule or to Register.